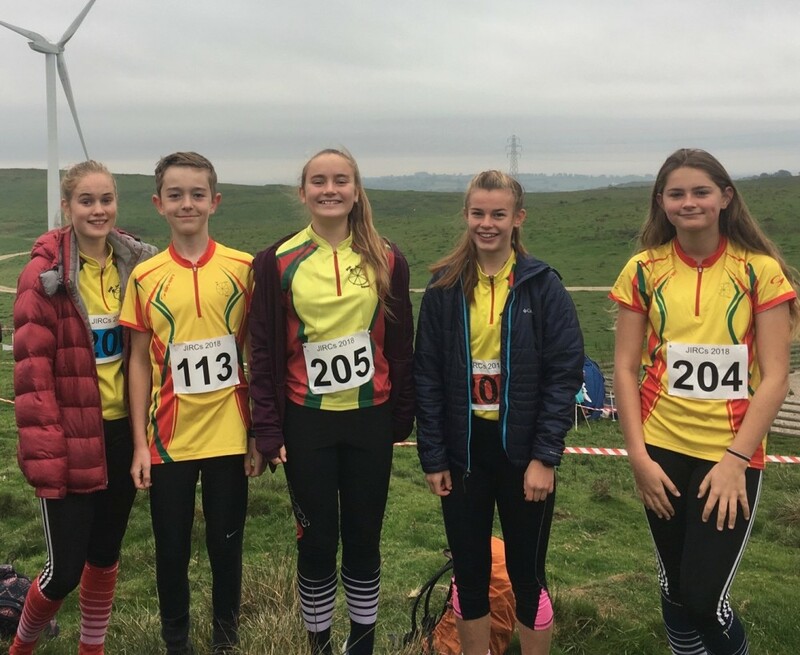 This weekend Rebecca, Emily, Ellie, Dylan and I were lucky enough to be selected to go to JIRCs, the annual junior inter-regional competition, representing the North West. JIRCs was held in Derbyshire so we had a reasonable coach journey down. The Saturday event (individuals) was held at Chatsworth house, the area was scrappy forest and some open fields. Emily had an exceptional run, coming second and all of us were at least half way up the field. We stayed in a pristine outdoor centre however North West had the privilege of seeing everyone else’s rooms/pods whilst we slept on a floor! We enjoyed seeing our friends from other squads over the evening but ready to compete with them by the morning. The relay area was a large undulating field with a brutal first control up a hill. The M/W16s led out on first leg which was dominated by Scotland. North West managed to bring it back and end up with joint first in the overall relay results. Over both days we came second to Scotland by 20 points, a really good job overall from everyone on the team!